The Reading Agency from UK has planned an activity for these holidays: they call it Christmas Mini-Challenge, and it’s an adaptation of the Summer Reading Challenge, that, as they put it, “helps gets three quarters of a million children into libraries to keep up their reading skills and confidence”. The challenge is simple: read three books during the Christmas holidays and collect your prize. Last week in Sister Libraries Blog, Aleksandra, Director of Library in Piekary Śląskie from Poland told us that children from Arucas Library, its Spanish sister library, and Piekary Slaskie made bookmarks at the International Day of Books. Then they swapped them and also wished each other on occasion this Day. Then the bookmarks were the prizes for finalists readership contest of the book “Anne of Green Gables”. If you want to know more details, click here. This news comes from a little village of Klučov (Central Bohemia, district Kolín). The library was founded in the year 1920 and the writer Alois Jirásek (historical novels and plays, a classic) permitted to give the library his name. Jirásek Library in Klučov announced an interesting programme for children. The library in cooperation with a kindergarten and with a support of the local council prepared “Sweet Reading”, an afternoon with reading activities. Children listened fairy tales, narrated tales according to pictures and contested. The home-made cheesecake was a sweet bonus. The recipe was also made public. Citizens and visitors of Prague can view an exhibition “Prague and daughters of Prague” in the City of Prague Museum. The exhibition shows the history of Prague from the prehistoric times to the half of the 20th century how it was perceived by women. Topics are women, gender, distinguished women etc. Discussions and reading are associated actions. In connection and partnership with this exhibition, the Municipal Library in Prague prepared a project of e-library called “Daughters of Prague”. Municipal Library offers digitized versions of woman literature from the end of the 19th and beginning of the 20th centuries in its collection. E-books are freely available. The WWW page is accessible on www.dceryprahy.cz. The Ministry of Education, Culture and Sport of Spain has launched in Internet a new reading promotion and awareness-raising campaign for youth as part of the National Reading Promotion Plan. This campaign is focused on teenagers aged 14 – 18 years old, who are in a critical personal development phase in which their reading habits may decrease. At the same time, the campaign wants to promote reading habits in the framework of the generalised use of the InfomationTechnologies. 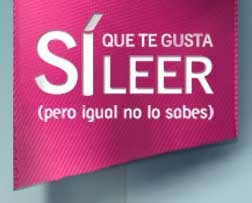 The slogan is “You do like reading (but maybe you don’t know it yet)”. The message is attractive and positive both in its design and its content. The main idea is that youth actually read more than they think, mainly when they use the Information Technologies. The web site of the campaign includes, in addition to a lot of links to portals, virtual libraries and blogs of their interest, a reading game in which the user chooses the steps to move forward in an adventure, and he may even win an e-Reader. 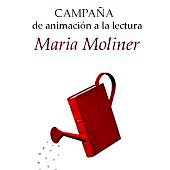 Last 13th December María Moliner Awards were awarded by the Ministry of Culture of Spain. They are part from the Reading Promotion Plan developed by the General Direction of Books, Archives and Libraries and they are one of theirs actions with higher level of social impact. These Awards are focused on municipalities with less than 50.000 inhabitants and they are, from 1998, a quiz for awarding the best projects or activities to promote reading in children and young adults. It takes places with the collaboration of the Ministry of Culture of Spain, the FEMP (Spanish Federation of Municipalities and Provinces) and, from 2002, the Coca-Cola Foundation in Spain. María Moliner Awards grant 3 projects in 3 different categories: the first for municipalities with less than 5.000 inhabitants, the second for municipalities between 5.001 and 20.000 inhabitants and the third for municipalities between 20.001 and 50.000 inhabitants. This year, the winners are Tuéjar (Valencia), Pozoblanco (Córdoba) and Oleiros (A Coruña) respectively. The 3 winners obtain a cash prize and a set of 200 books for children and young adults selected between new books of each year. Moreover, 300 projects are selected of the total number of applications received and they get another set of books each one. I am a reader! This is the title of a periodic project of the promotion of reading announced by the Association of Library and Information Professionals of the Czech Republic (SKIP). The full title is: I Am a Reader –The Book for Abecedarians. Schools in cooperation with public libraries enter in this competition with the pupils attending the first classes of the primary schools. The competition starts in December; at that time children already have essential knowledge of reading. The library prepares at least one excursion and other rich programme in addition (common reading, exhibitions, writer-reader meetings etc.). The award for children after a successful passing through this programme is a book. The book is exceptional, because it is the original Czech novelty that cannot be bought in a bookshop for the next three years. More information in Czech: http://www.skipcr.cz/akce-a-projekty/akce-skip/projekt-uz-jsem-ctenar-2013-knizka-pro-prvnacka, about this latest competition (1.12.2011-30.6.2013). Some statues in Prague have received books to read in the next three weeks, within the framework of the project Prague, the Town of Literature. The Municipal Library of Prague launched a project “E-Books in all libraries”. The new service enables users to read e-versions of later Czech production. The objective of the project is to promote cooperation between libraries and commercial sector in an emerging e-book market. According to the agreement, publishers offer e-copies of their books in preparation to facilitate digitization. Libraries guarantee the legal using. Libraries also offer statistics with interesting data for publishers (interest and use of titles). Libraries are represented by one library, Municipal Library of Prague, in the workflow between publishers and libraries. At present, reading is limited: e-books are accessible just inside the library and on dedicated display terminals. Parts of documents can be printed, not stored. The pathfinder partner on the publisher size is Academia, The Publishing House of the Academy of Sciences of the Czech Republic. The Project Digital Reading was launched, this week, in Lisbon, by the Calouste Gulbenkian Foundation. With a budget of € 150.000, the two years project will study the Portuguese realitiy concerning the digital reading. Both the offer by the publishing industry and the demand by the portuguese libraries will be addressed. The project team, which will be coordinated by the Technical University of Lisbon, also includes the Spanish Foundation “Gérman Sanchéz Ruipérez”.